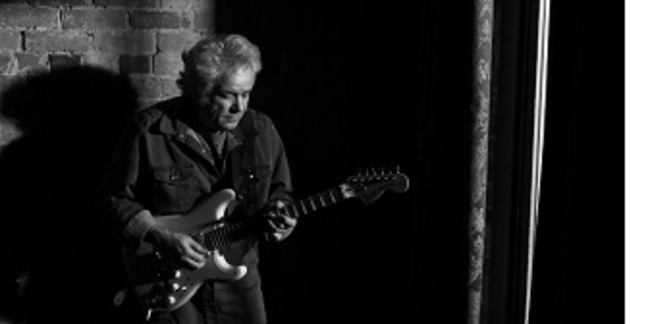 Brian Stoltz has released four solo albums, has toured and recorded with Rock ‘n Roll Royalty and has performed on a string of recordings – playing, producing and writing for various artists. Basing his art on street virtuosity, raw emotion and a stinging signature style, he is New Orleans’ premiere guitarist and songwriter extraordinaire. While touring, writing and recording throughout the 80′s with the world-renowned Neville Brothers Band and for fourteen years with The 'funky' Meters, Brian has created unique bodies of work. In addition to being in demand as a phenomenal guitarist, his skill as a songwriter has caught the attention of artists like Aaron Neville, The Neville Brothers, Coco Montoya, The Wild Magnolias, Zydeco artist Zachary Richard and writer/film director John Sayles. Stoltz's guitar style evolved naturally from growing up on 60's pop/r&b radio and from traveling the dark roads of South Louisiana up through the Mississippi Delta, absorbing the many musical genres and haunting styles of the deep south. In reviewing Bob Dylan's album, Oh Mercy, UK writer Andy Gil of Q Magazine best described it when he wrote, "Stoltz's guitar is like stinging rain pinging on a barbed-wire fence." His unmistakable sound is featured on recordings by artists as diverse as Dylan, Edie Brickell, Dr. John, Linda Ronstadt and the Neville Brothers. Stoltz's discography also includes the release of four solo albums: Up All Night/Live (2007), God, Guns & Money (2005) and East Of Rampart Street (2003) and the now out-of-print Starving Buddha (1999). His television appearances include The Tonight Show (with Jay Leno & Johnny Carson), Saturday Night Live, Late Night with David Letterman, Austin City Limits, Cinemax and Showtime specials, and concerts with the Grateful Dead. Ever socially conscious, Brian toured, along with the Neville Brothers, U2, Peter Gabriel, the Police and Lou Reed as the torch-bearers of the first Amnesty International Tour in 1986 to raise consciousness of the fate of political prisoners around the world. Stoltz has received awards from CMJ (College Music Journal) and the New Music Corporation for Lifetime Achievement. His co-written Healing Chant, performed by the Neville Brothers, won a Grammy for Best Pop Instrumental in 1991and Brian was nominated for a 2004 Grammy in the Best Traditional Blues category for his solo rendition of You Gotta Move on Telarc Records’ Preachin’ The Blues: The Music Of Mississippi Fred McDowell. He has performed in numerous music videos and his songs and performances have found their way to film soundtracks such as The Mighty Quinn, John Sayles’ City of Hope, post-Hurricane Katrina film, 'Desert Bayou', nominated for the 2008 Image Award (theatrical and television) and the Harry Shearer film, The Big Uneasy. Brian is currently touring with The Funky Meters and mixing tracks for an early 2017 solo release, tentatively titled, New World Rising. Drawing inspiration from Levon Helm’s midnight rambles, Capps’ Frog Pond shows are similarly influenced by traditional Americana and blues, and encourage collaboration...Brian Stoltz and Luther Dickinson are among those scheduled to join Capps this fall. Gov’t Mule welcomed back Stubblefield and brought out funky Meters guitarist Brian Stoltz for a tease-heavy version of “Get Behind The Mule” during their encore. The Nevilles featuring Art, Charles and Cyril Neville were joined by Ivan Neville, Ian Neville, Tony Hall, “Mean” Willie Green, Brian Stoltz and Dr. John for Art “Poppa Funk” Neville’s 75th birthday party at Tipitina’s in New Orleans this past Saturday. What will you remember most about 2012? Worrying about a lawsuit! Being involved in a horrible horrible lawsuit. Unfortunately, that’s what I can remember because there wasn’t a whole lot of music in my life. Stoltz and “many special guests from New Orleans, South Florida and the Jam Cruise” will play a late night set. Jam Cruise sets sail from Ft. Lauderdale, FL tomorrow. 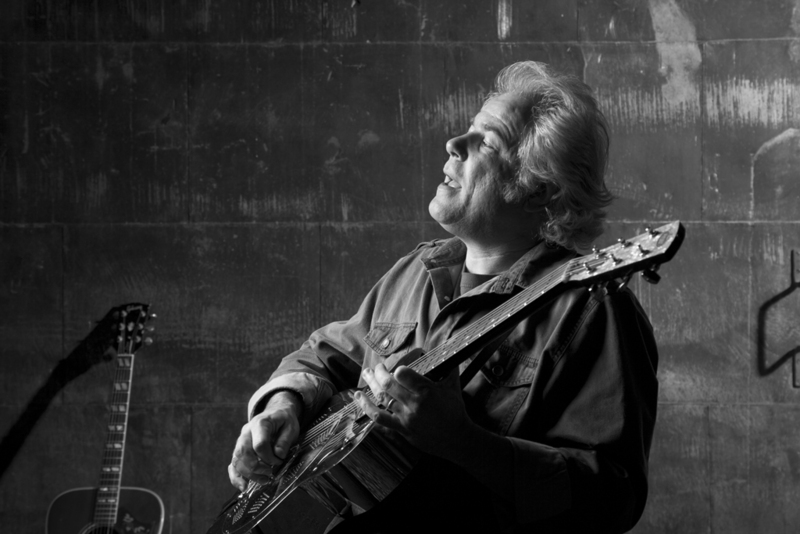 Brian Stoltz has recorded with Bob Dylan, toured with The Neville Brothers, shared the stage with Jerry Garcia on a number of occasions and that’s only scratching the surface. Review of the Lettuce album, "Fly." The horns punch out the cool melody of “Bowler” while the guitars blend Brian Stoltz-style funk with Steve Cropper cool. Funky Meters guitarist Brian Stoltz will travel to New York to produce The Brooklyn Jazz Warriors’ debut album. While in New York, Stoltz will perform with The Brooklyn Jazz Warriors at Brooklyn’s Public Assembly. Dr. John...emerged for “Trickbag.” In addition, Art Neville’s son Ian, who played guitar with the Funky Meters for a few years before Brian Stoltz returned to the group, emerged for “Just Kissed My Baby.” Stoltz will perform with his I-12 AllStars at New Orleans’ d.b.a. this Saturday. Brian Stoltz performed at New Orleans’ 12 Bar during JazzFest last night...Stoltz’s funky Meters bandmate George Porter Jr. emerged for a closing jam based around “Mirror, Mirror.” Both Porter and Stoltz also performed with Warren Haynes Band earlier in the night. funky Meters and Galactic will play a collaborative show at Mahalia Jackson Theatre tonight. Stoltz will then head to The Parish at House of Blues for a jam session with Porter, Marco Benevento and Adam Deitch. Numerous guests sat in with Warren Haynes Band at New Orleans’ Mahalia Jackson Theater last night...“Feel Like Breaking Up Somebody’s Home.” The latter song also featured funky Meters guitarist Brian Stoltz. This past January, Stoltz reunited with the funky Meters for a show at New Orleans’ Tipitina’s and quickly rejoined the group as a permanent member. “The World” brought the funk full throttle as Brian Stoltz reminded me how much I had missed seeing him perform. He is truly superb with his rock-driven funk guitar styling. It’s official! After a three-plus-year absence from the funky Meters, Brian Stoltz has rejoined his long time band mates. After performing with Art, George and Russell at the 33rd Anniversary of New Orleans music club, Tipitina’s in January. A sold-out show that was a celebration not only for Tipitina’s, but for Stoltz and Art Neville as well. The two first performed together 30 years before at the famed club in September 1981 when Stoltz joined The Neville Brothers as guitarist. Guitarist Brian Stoltz has officially rejoined the funky Meters. Stoltz rejoined the group for the first time in over three years for the 33rd Anniversary of New Orleans’ Tipitina’s this past January as well as three shows at New York’s Brooklyn Bowl...2011 marks the 30th anniversary of Stoltz’s first band with Art Neville as a member of the Neville Brothers. 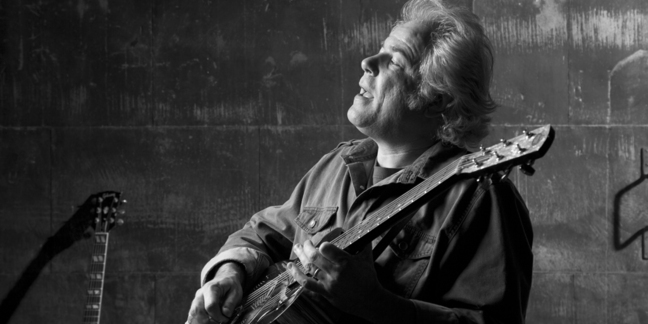 Former funky Meters guitarist Brian Stoltz has confirmed a Wednesday night residency at New Orleans’ Maple Leaf Bar. ...already confirmed a number of dates around the globe, including the funky Meters’ first appearance in New Zealand...Neville, Porter and Batiste will also reunite with former funky Meters guitarist Brian Stoltz for a show at New Orleans’ Tipitina’s on January 14. The performance will celebrate the 30th anniversary of the historic club. I have a weird story about the night Jerry died too. Stoltz has been married for...has no children...and has been to India six times. The Bear Creek Music and Art Festival will return to The Spirit of the Suwannee Music Park in Live Oak, Fl., November 12-14, 2010. The festival is proud to announce it's 2010 initial artist lineup which includes Ivan Neville's Dumpstaphunk, Soulive, Lettuce, George Porter's Runnin Pardners, The Will Bernard Band, Brian Stoltz, Toubab Krewe, John Brown's Body, Break Science and many more bands. JamBase & HeadCount are proud to present: Rocktober '08 - Get Out and Vote! "Wah Wah Me,"...which characterizes Stoltz's style perfectly, opened the second set in roaring fashion. Brian Stoltz has left his mark in the recording studio and on the concert stage...extended stints with the Neville Brothers and the funky Meters...also appeared on releases by Bob Dylan, Paul Simon, Dr. John, Daniel Lanois and Edie Brickell. Over the past years Stoltz has focused on his own music and his most recent effort is Up All Night Live. At Bonnaroo he performed a special late-night set in Somethin’ Else with George Porter Jr. and Russell Batiste. Which of these Jammys collaborative segments from years past is your favorite? When it comes to side projects...relatively few are created solely for the sake of music. One exception to the aforementioned purposes is Porter-Batiste-Stoltz (PBS), an outgrowth of the Funky Meters, comprised of George Porter Jr. (bass), Russell Batiste (drums), and Brian Stoltz (guitar). These longtime mates have not only fortified the backbone of the New Orleans music scene, filling out such acts as The Meters, the Neville Brothers, Harry Connick Jr., Dr. John and Allen Toussaint, but also accompanied a virtual who's who of rock icons including Bob Dylan, Paul McCartney, Robbie Robertson, David Byrne and Paul Simon, just to name a few. This past Thursday and Friday the funky Meters performed at the Fox Theatre in Boulder as part of the venues 15th anniversary celebration. The line-up for these shows was different from recent performances by the band as guitarist Brian Stoltz had announced that he would be leaving the group. it feels incredibly intimate, as if Bobby Lounge is performing in your living room...His barrelhouse piano rumbles and saunters with flair and is occasionally accompanied by the lazy blues of Brian Stoltz’ acoustic guitar. Govt Mule and moe. celebrated Independence Day a bit early this year, sharing a joint bill at Morrison, COs Red Rocks Amphitheater... Brian Stoltz emerged for a number he has frequently appeared on in the past, 32/30 Blues. And, though it may be sacrilegious in some circles to compare anyone’s lyrics with Mr. Zimmerman, the title track (which is divided into two parts and bookends the album) deserves a place next to Dylan’s greatest protest songs — or any other American’s, for that matter. A sign of things to come. Brian Stoltz has only been onstage for 15 minutes and the crowd awaiting the Meters – T minus five hours and counting – is already loosely packed all the way back to the rear set of speakers. Last April in a Jambands.com interview, Stoltz mentioned his brother, a black hawk gunner, but seemed hesitant to directly address the war in Iraq through his music. But, a year later, Stoltz has shifted gears, compiling his emotions into a politically laced solo-album, Gods, Guns & Money—- a snapshot of this turbulent time in American history. Below, Stoltz dives headfirst into the meaning behind his darkest songs to date, also answering a few questions for the Bob Dylan faithful along the way. Few people are able to touch Brian Stoltz's skill on the guitar. There's something magical about this record...but there wasn't any magic in the house. It's what Lanois and me and Willie Green and Daryl and Brian Stoltz brought to the place that made it what it was. Who’d have ever thought that the first great Iraq protest album would come from the funky Meters’ guitarist? 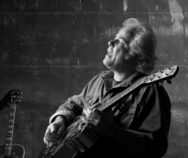 funky Meters guitarist Brian Stoltz will tackle the war, among other issues, on his new CD, God, Guns & Money...Stoltz will perform this Friday at New York’s BB King Blues Club with PBS. ...It really is that intense...playing with less holes. Everything is more filled up and aggressive. ...growling blues leads from Stoltz that leapt in and out of the fray...with the club packed and the band loose-limbed and waist deep in the funk, everything was feeling alright indeed. In a day when it's getting harder and harder to make true finds in music (sorry, American Idol doesn't count), there's no way to replace the joy of stumbling across a band like this in a small, dark space, both sagely professional and agelessly exuberant, funky and urgent but also in control. ...The New Orleans Allstars featuring Dr. John, Matt Abts, Brian Stoltz, George Porter Jr. and Toots Hibbert followed with "Right Place, Wrong Time" and "Pressure Drop." At this point the NOLA Allstars welcomed Mr. JoJo Hermann of Widespread Panic fame on stage to add a bit of his special JoJo mojo for a rousing rendition of "Hey Pocky Way." Down at the Saenger Theater in New Orleans, Govt Mule was introduced as Raven Black Knight & The Pimps...Guitarist Brian Stoltz (Neville Brothers, Funky Meters) also joined in for Out of the Rain to close the second set. Our feature stories include pieces on The Disco Biscuits, Los Lobos, Brian Stoltz and Umphrey’s McGee. 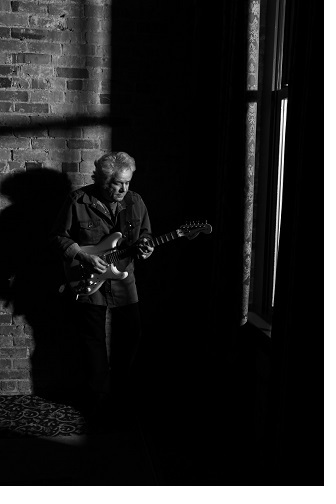 Brian Stoltz will celebrate the release of his latest double CD set, quite fittingly with a pair of shows at two Florida venues over the coming week. "Preachin' the Blues: The Music of Mississippi Fred McDowell"
On "Preaching the Blues," McDowell's sound is re-created with loving care by various artists...everybody on this album sounds like themselves."